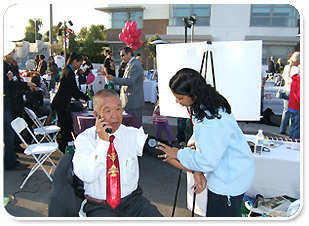 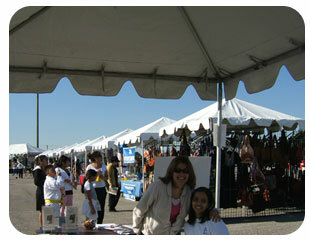 APEX Cardiology nurse Shaleeta Kiran administers a free blood pressure test at the Healthy Living / Healthy Business Expo held at Metlox Town Square in Manhatten Beach. 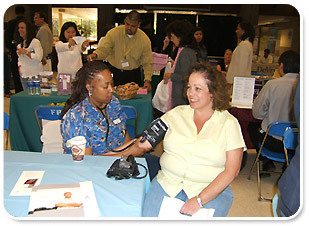 Apex Cardiology nurse Nilene Collins administers a complimentary blood pressure test at the El Camino College Health & Benefits Expo held at the college campus in Torrance. 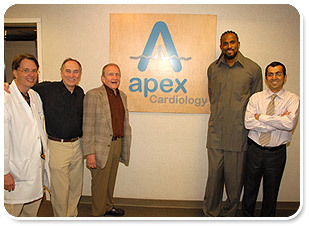 APEX CARDIOLOGY hosted an OPEN HOUSE showcasing the LightSpeed 64 slice CT Scanner. 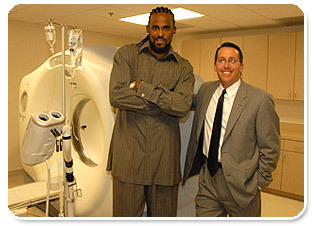 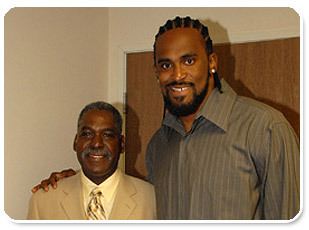 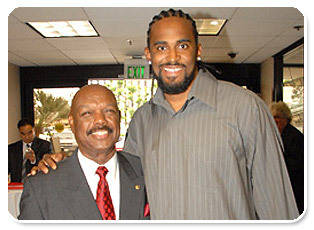 Special guests included Los Angeles Laker Ronny Turiaf, Inglewood Chamber of Commerce President Roland Talton, General Electric's James Smith, Planning Commissioner George Dotson and distinguished members of the medical community. 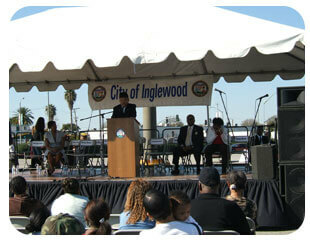 APEX Cardiology was the proud sponsor of the Inglewood Business Opportunity Network Breakfast (IBON) on Thursday, January 25th at Hollywood Park Pavilion. 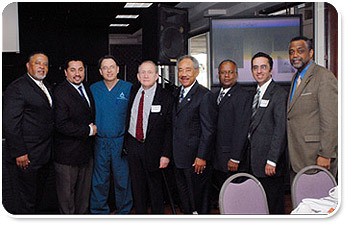 Included in photograph are Inglewood Mayor Roosevelt Dorn, Assemblymember Curren Price, Councilman Ralph Franklin, Willie Brown, Publisher of Inglewood Today, and representing Apex Cardiology: Dr. Robert B. Chesne, Dr. Mason H. Weiss and Dr. Jack J. Farahi.